2013 Volvo XC90. 95k miles! auto all power, black/black leather, heated seats with third row option, sunroof, am/fm/cd, front and back hot and cold air, alloy wheels and good tires. If safety is what you are looking for this is it! 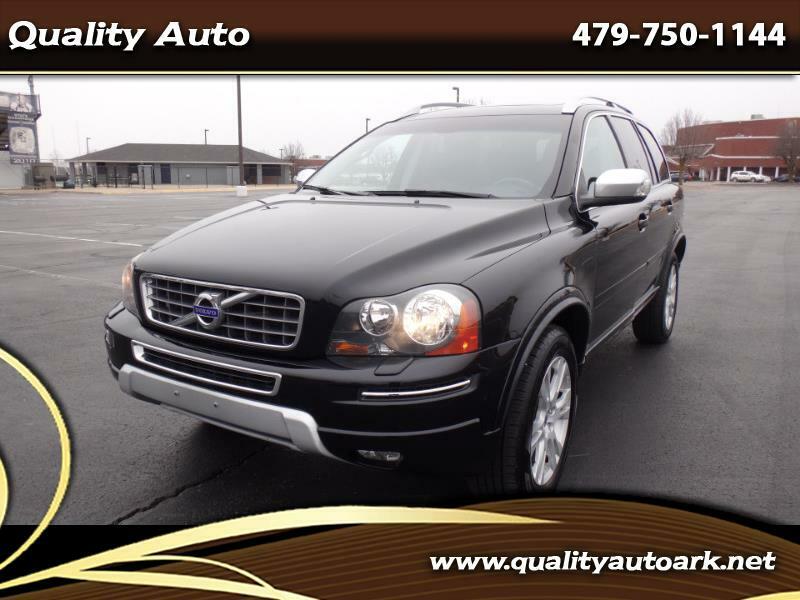 For more info and pics and free carfax go to qualityautoark.net or call us at 479-750-1144 thank you. Visit our website http://www.qualityautoark.net for more information and photos on this or any of our other vehicles or call us today for a test drive at (479) 750-1144. Ask for Sammy or Fred! FINANCING AVAILABLE! Ask us how! WAC.